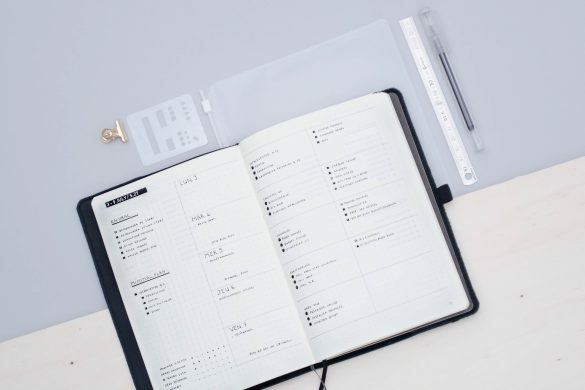 Home Bullet Journal	What is the perfect notebook for your bullet journal? 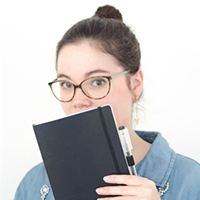 What is the perfect notebook for your bullet journal? 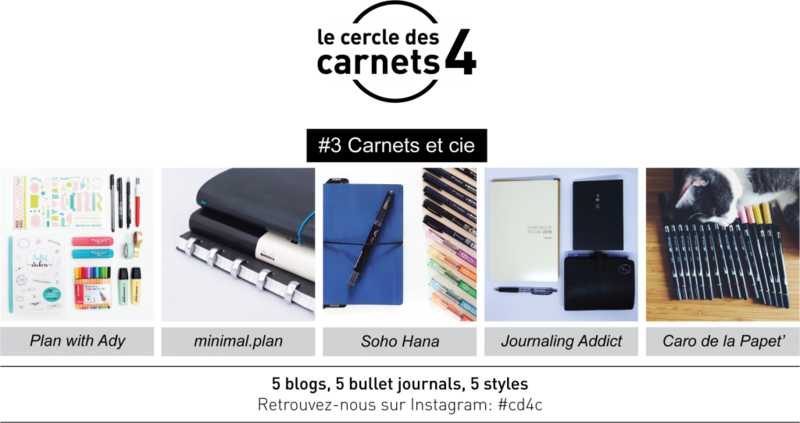 Even though most of the bullet journalists use a hard bound notebook to hold their organisation system, it is also possible to use other kind of notebooks. 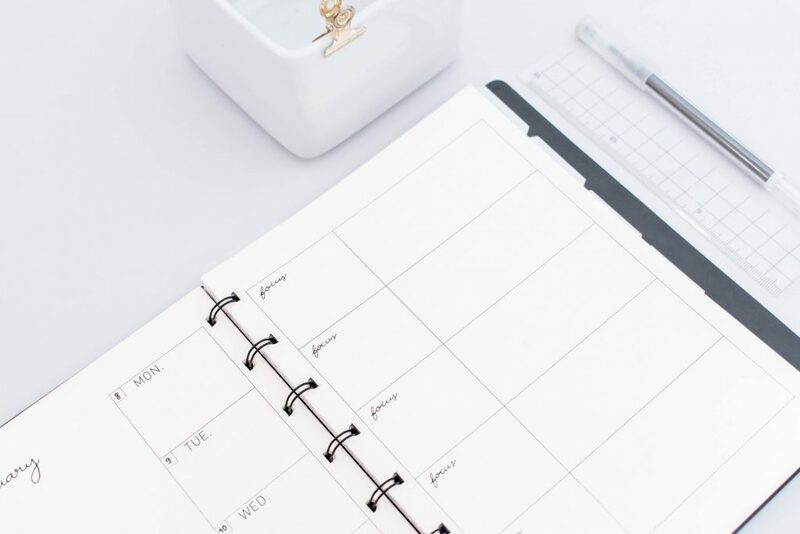 The bullet journal system is all about function and the basic features (index, future log…) and not quite about the notebook used. Each notebook or system has its pros and cons. I tried 3 of them in 2 years of bullet journaling, and it’s time to share a review of them: the regular hard bound notebook, the disc bound notebook and the Traveler’s notebook. Well… I’m not going to tell you what a hard bound notebook is. I’m sure you know exactly what it is and how it works! All the contents are mixed together. It’s therefore vital to keep the index updated to be able to find the required page easily. 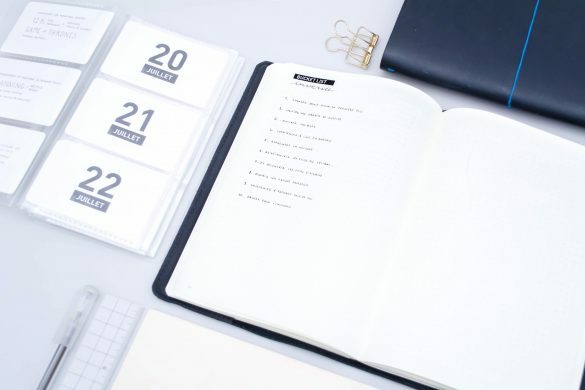 It also means that when you’re moving into a new notebook, you’ll have to migrate some of your important collections and recreate them from scratch. It’s a tedious process if you have a lot of them to move and if you often change notebooks. 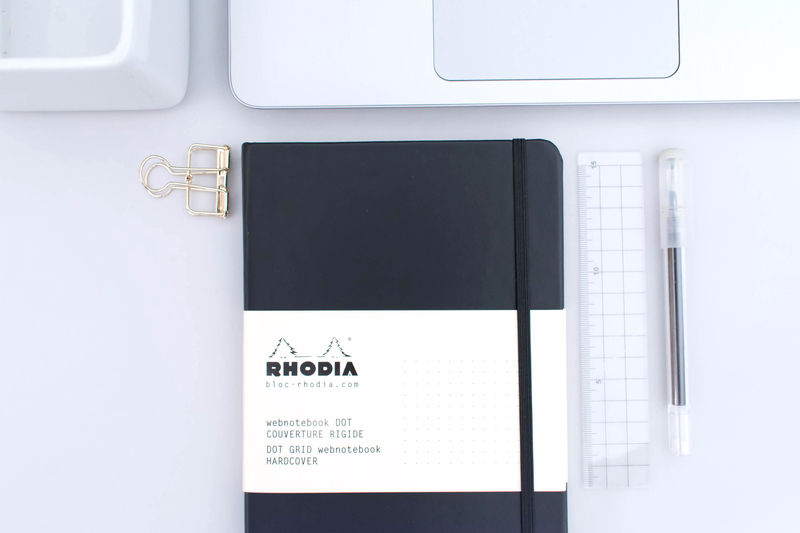 The Rhodia Webnotebook is a great option for bullet journaling. Its premium Clairefontaine paper allows to write in it with about any pen. That being said, let’s not forget that these complications are part of the system created by Ryder Carroll. It’s especially true about the migration process: it’s meant to help sorting out what’s really needed and the collections that have become irrelevant. The hard bound notebook is the best option for all the bullet journal beginners and purists. Not all the hardbound notebooks are the same. The type of paper and the binding are playing a major role in the quality of the product and the writing comfort. Ideally, pick a notebook that features a sewn binding: it’s worth it on the long run if you make an intensive use of your notebook. Most of the bullet journalists use a A5 notebook. It’s the most popular size, even though there’s a trend to downsize and get into miniature bullet journal. 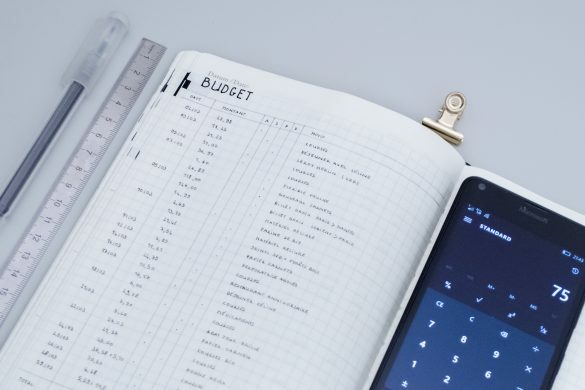 Of course, the size of the notebook depends on how you intend to use it: a A6 notebook would probably be ideal if you want to carry it in a small purse, and a A4 one can be perfect if it stays on your desk. Quo Vadis has a wide range of notebooks that come in different sizes, all made from Clairefontaine premium paper. From left to right: Habana notebook, the Life Journal & A6 Papier Tigre x Quo Vadis notebook. Using a hard bound notebook as a bullet journal is the obvious choice. However, you may come to a point where you’ll need a more flexible system to fit your needs. In this case, disc bound notebooks and Traveler’s notebooks can become a great option. 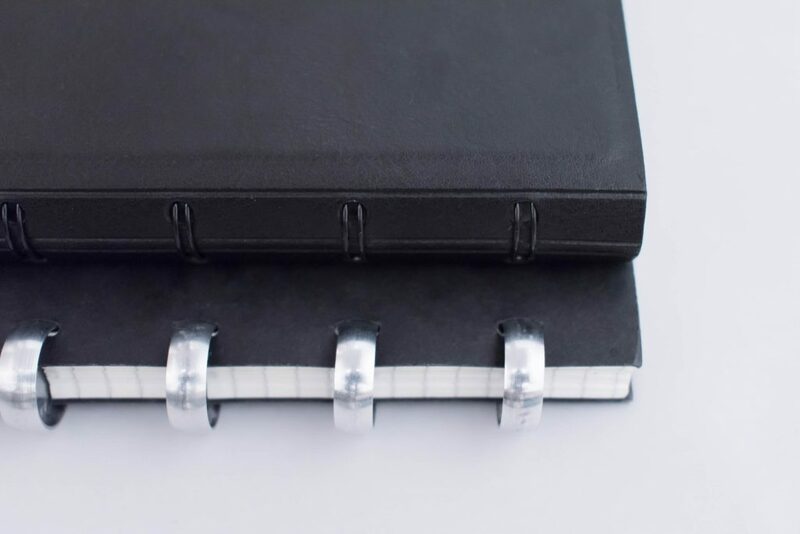 Disc bound notebooks are not so different from spiral bound notebooks in the way they look.But the disc binding is a real game changer in the way the notebook works and how you can use it for bullet journaling: the pages can be moved around. It’s actually a system that is closer to a regular ring binder than a notebook. The Filofax Notebook comes with diffrent types of paper. As I said, the main advantage of the disc bound notebook is that you can move pages around. Of course, this feature is perfect if you need to categorize your spreads, to take some pages out to write more comfortably, or if you want to mix several papers to fit your needs (dot grid, squares…). This binding is also the main weakness of this type of notebook. The binding is quite loose and the pages get easily damaged. Just as the spiral bound notebooks, the disc bound ones can be folded in two. However, this feature is balanced by the width of the binding: in my opinion, disc bound notebooks are not ideal if you plan to create 2 pages layouts as the binding will interfere. 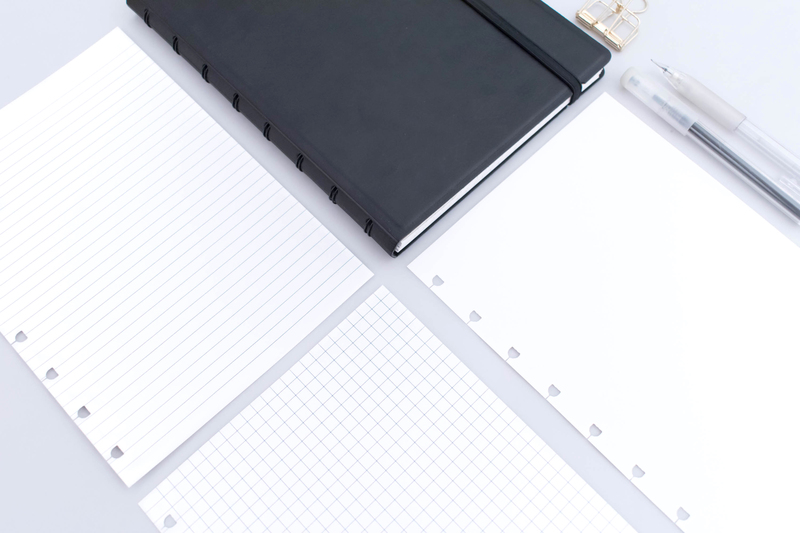 Just like ring bound planners, the disc bound notebooks allow you to create your own refills. The picture features one of the blog’s weekly planner (available for free download here) in a Filofax Notebook. 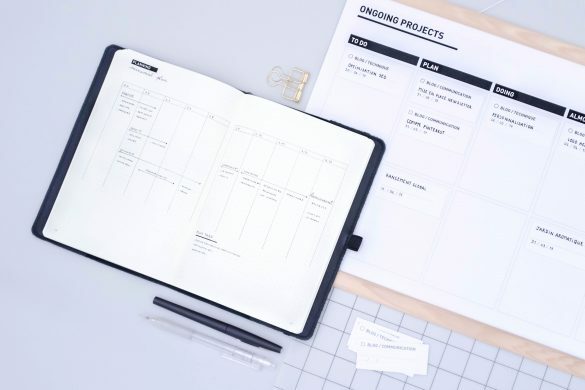 Disc bound notebooks are a nice option if you’d like to create planning spreads and collections as needed and be able to move them afterwards. It’s ideal to create sections in your journal: you can sort out the pages by project, date or class. It’s way cheaper than a leather organizer, but also way lighter to carry around. After several month using a Atoma notebook a my work bullet journal, I think it’s ideal if you have a lot of projects lists and meeting notes to manage. 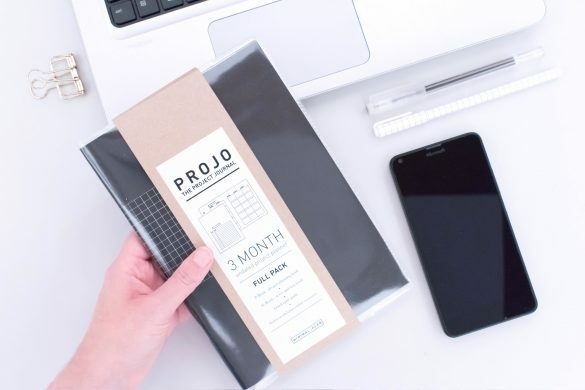 It’s also the perfect fit for students who’d like to have both their bullet journal and class note in one notebook, but still want to be able to easily categorize them. 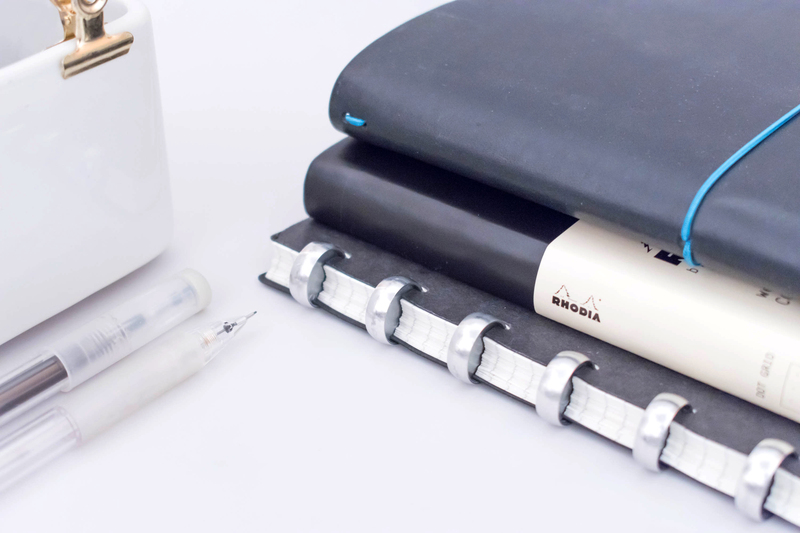 The Filofax Notebook and Atoma A5 notebooks: the binding is different but the way they work is similar. You can find a comparative review of these 2 notebooks here. Some disc bound notebooks brands, such as Filofax, also offer archiving notebooks. 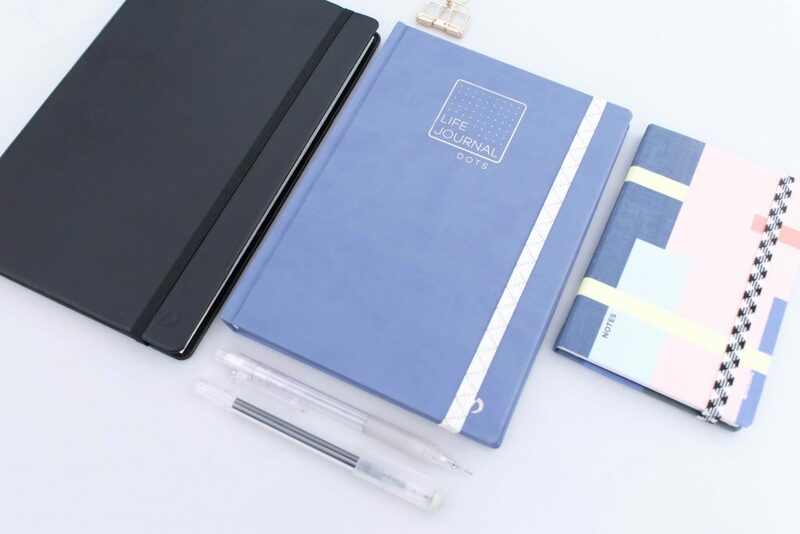 They’re perfect to keep your old notes and journals in order and be able to get through them easily. The cheapest disc bound notebooks I know of are the Atoma notebooks. You can find the full review I made here, and get one from Amazon. A Traveler’s notebook (TN for short) is basically a cover that holds several notebooks at once. 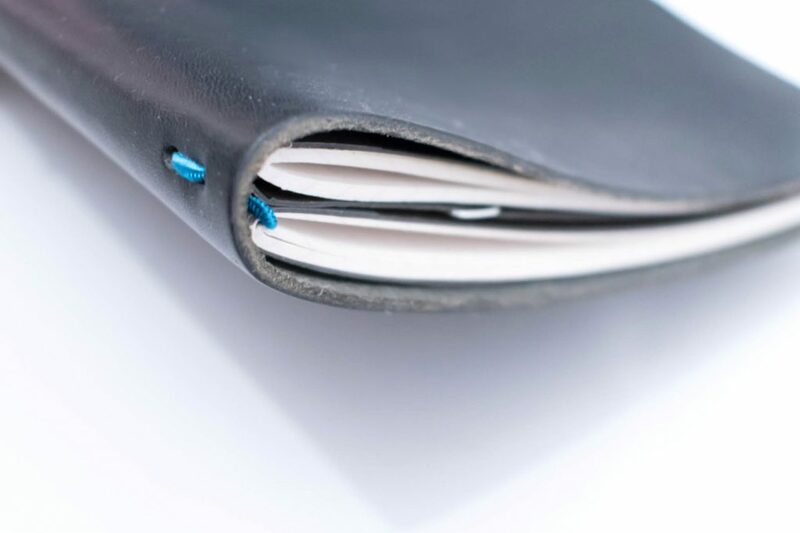 The cover is usually soft, made of leather, and the notebooks are kept in place by elastic strings. Even though I knew what a Traveler’s notebook was, I started to use one of them only a few months ago when Paper Republic sent me one of their gorgeous leather cover. I honestly would have keep using it if I hadn’t change the size of the notebooks I use…. I now use a TN I crafted myself with a piece of leather and some elastic. TNs are perfect if you want to have specialized notebooks but still want to carry them all together. A lot of bullet journalists use the TN system to have a separate notebook for collections, in order to avoid the tedious migrating process. 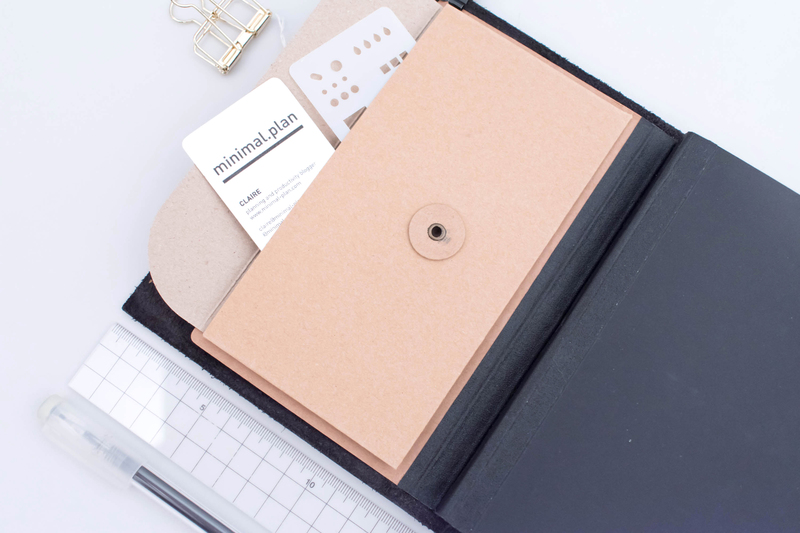 Paper Republic’s Traveler’s notebook can hold 2 A5 notebooks. 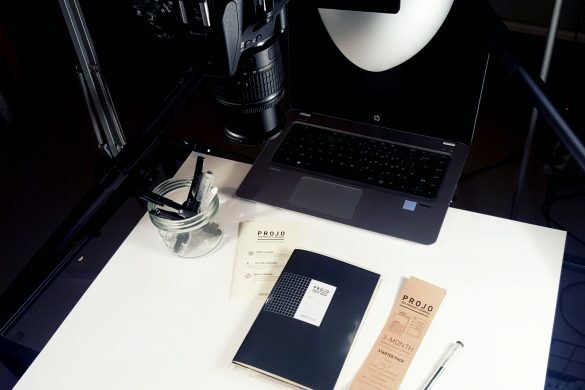 The TN system allows to keep separate notebooks for work and personal, to dedicate a notebook to your gratitude log or to carry your regular journal along with a travel journal when you’re on the go. And that’s just a few examples among infinite possibilities. Using a TN is also a great way to protect and add some pockets to your regular notebook. Imagine as many pocket as needed to hold your stencils, stickers and coupons. It’s honestly the reason why I keep using a TN, even though my cover only holds one notebook. The kraft pocket in my TN holds some business cards and a stencil (gift from Ink by Jeng). The risk with the TN system is ending up with a system far from the original bullet journal. 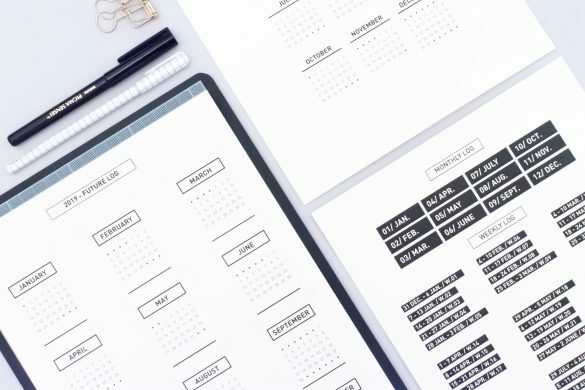 If you use one notebook for each function, you’ll end up having a ton of notebooks, and you’ll probably get some issue keeping up with it. 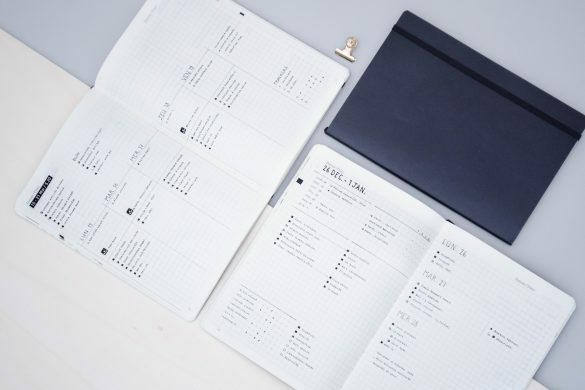 I think that having 3 notebooks is really the maximum number to have a system that is as efficient and simple as Ryder Carroll’s bullet journal. If you want to buy a cover, make sure that your notebook fits in it. Most of the TNs described as A5 allow notebooks that are slightly smaller than a true A5. It’s super easy to craft a TN with some supply and time. The leather covers are the easier ones to craft (you just need a piece of leather, a cutter, and some elastic thread), but fabric is also an option. There are so many notebooks and system options that the one that perfectly fits your needs is probably out there. I highly recommend to go for a regular hard bound notebook if you just started to use the bullet journal system. 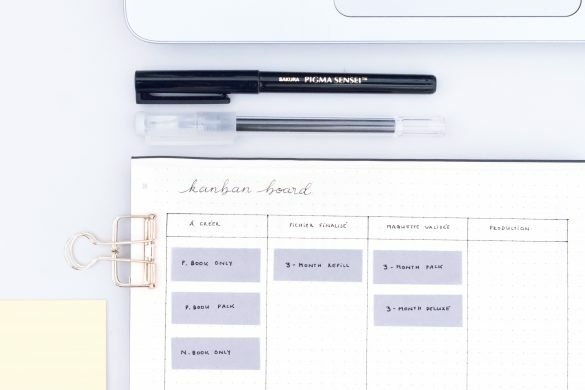 Starting with the basics is the only way to make sure the system works for you and to understand the whole bullet journal planning process. 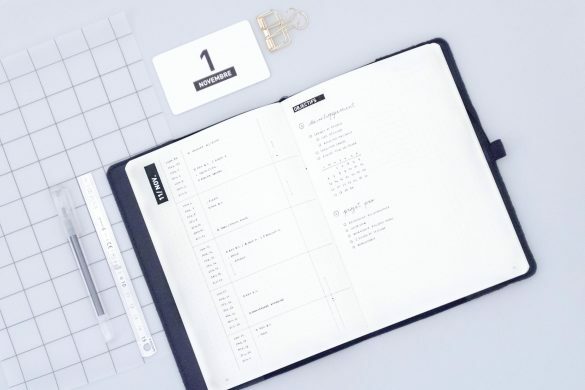 TNs and disc bound notebooks are great options if you’re already an advanced user of the bullet journal system and if you need something more flexible that gives you the opportunity to create categories. Don’t forget to check the other Circle member’s post about stationery! Some of them are in French only but is there a greater way to start learning French? This post features affiliate links. Purchases made from it earn me a modest commission at no cost to you. Thank you for your support! 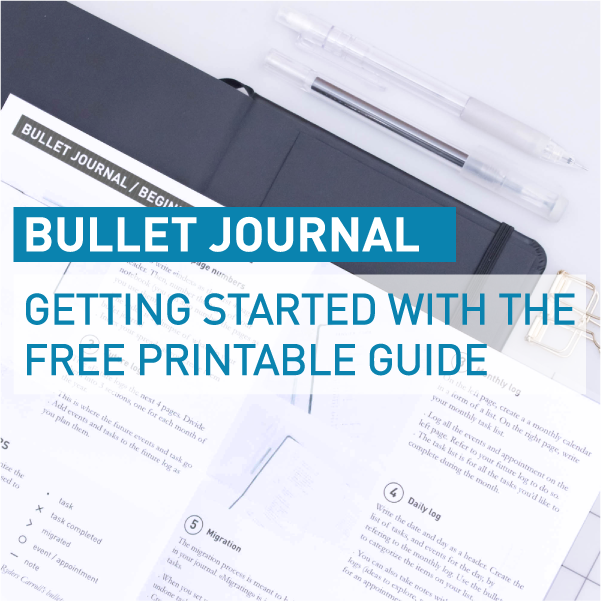 Subscribe to the newsletter to get an exclusive access to the free bullet journal printable guide along with all the free resources of the Secret library (printables, tutorials…)!